Ever been in a meeting and it's obvious that someone asks questions or says something just to be heard? It's annoying. At least to me. My dad's dad epitomizes the use of silence. He doesn't speak often but when he does, people listen. He doesn't try to ram an idea into your head. If there's something he doesn't like, he always prefaces his statement by saying "I'm only going to say this once...."
And you know what? He really only does say it once. His silence in the interim speaks louder sometimes than his statement. This even applies to content marketing strategy. Brands fight so hard against noise that they often push a tweet or a Facebook post or an ad just to be heard. They aren't adding value to the silence but just making noise louder. Sometimes it's what a brand doesn't say that speaks louder volumes. Seriously. 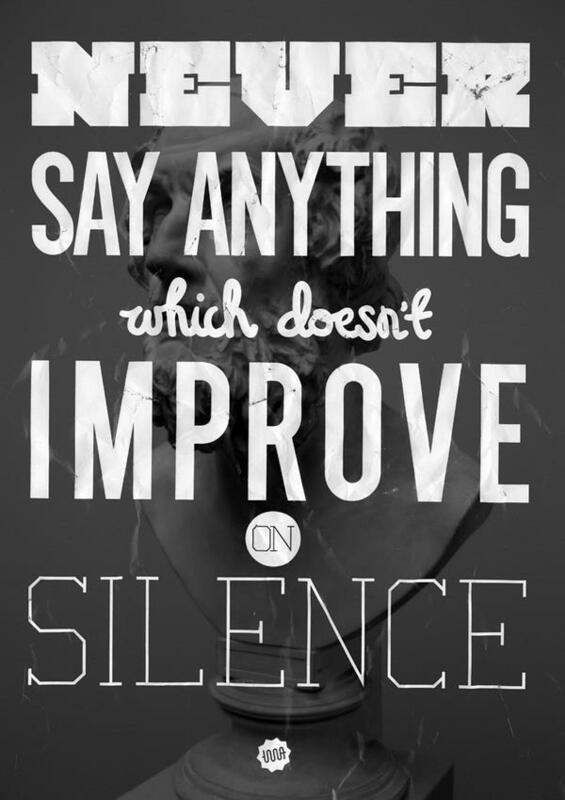 Silence is good, more often than not. What do you think?